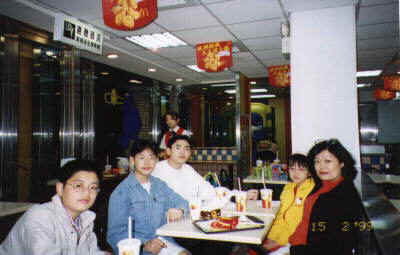 Our nephew Fabian Huang just sent us some pictures from Angie's visit with them in Tainan, Taiwan for Chinese New Year 2000, the year of the Golden Dragon. Here's Angie trying out his mother's kitchen, and hopefully turning out some good chow! 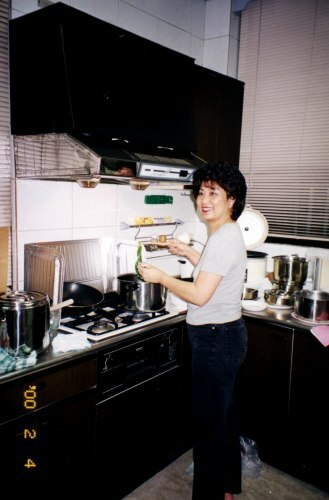 I guess now that she's home, she'll be wanting a fancy new kitchen like this too! 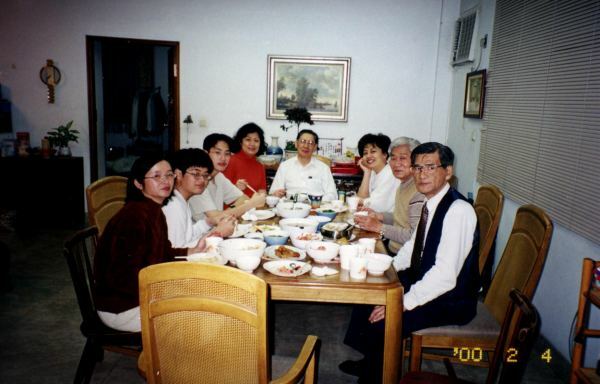 Here's some of the family sitting down to New Year's dinner in the Huang's home in Tainan. Fabian apparently took the picture, Angie says she was cooking, and we can't figure out where her mother was hiding! Fairly literally translated, the sign advertises the Tainan Chicken Ranch where free roaming chicks are available 18 different ways, "Do It Yourself" (DIY), starting with bare naked chicks you can take home with you for 200 NT, and for only 350 NT, hot and ready for you right here - parking in the rear! Coming from Texas where the "Chicken Ranch" enjoyed some notoriety years ago (remember Burt Reynolds and Dolly Parton in "The Best Little Whorehouse in Texas"? ), Diana got such a kick out of the sign that they had to come back and get a picture of it. I should point out of course, that it really is a restaurant! While Angie was at home in Taiwan, one of her best buddies from Richardson came to visit. 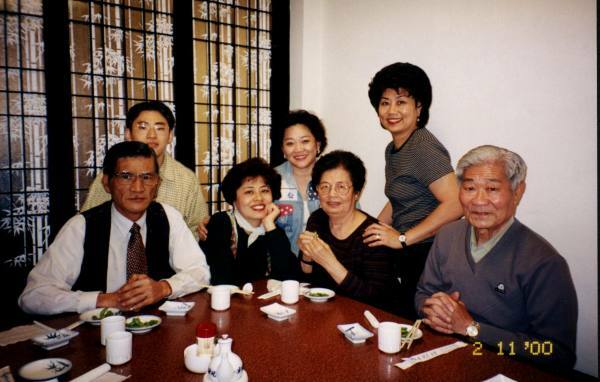 Here's Diana Joe and Angie in Tainan, the city in southern Taiwan where Angie's parents and her sister Li Shun live. When these two get together, something's bound to happen! 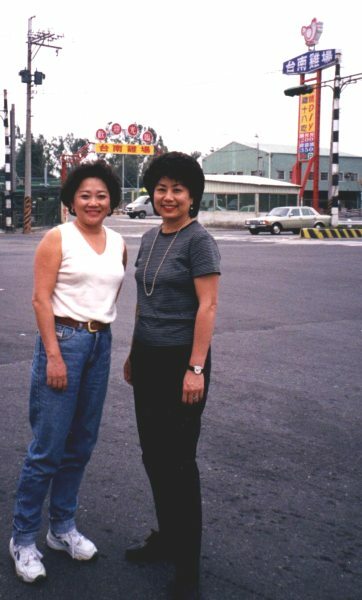 The first thing Diana noticed as they were leaving the Tainan airport was the sign across the street, which set her into hysterical laughter. It's shown larger below. Angie's brother-in-law, Her San Huang, treated everyone including Angie's parents, to a super meal at a local Japanese restaurant. 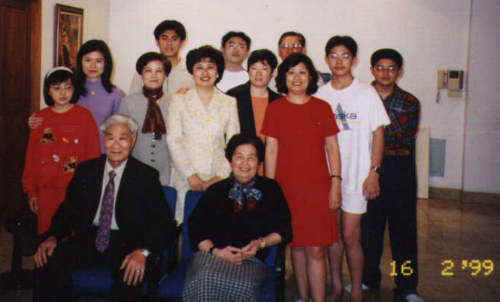 Here's Her San, his son Fabian, Angie's sister Li Shun, Diana Joe, Angie's Mother, Angie, and her father in a composite photo. 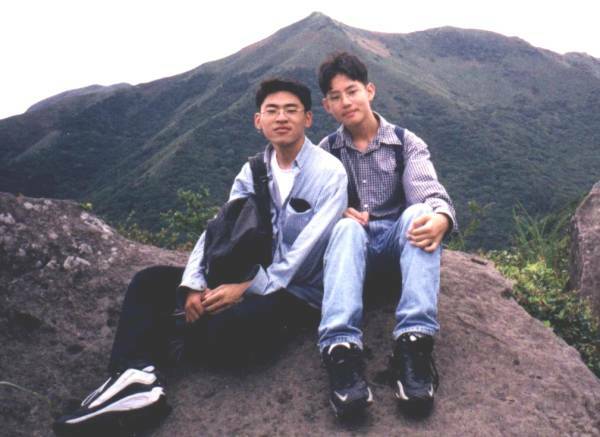 Here's a picture of two of our nephews, Fabian Huang on the left, and Kevin Chu on the right taken in September of 1999. Gosh you fellows are sure growing up quick! McDonalds Looks about the same the world over doesn't it?